Be the first to share your favorite memory, photo or story of Lorene . This memorial page is dedicated for family, friends and future generations to celebrate the life of their loved one. 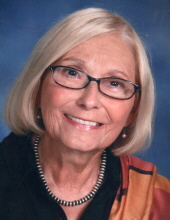 Lorene Ellen Patraw Barton, devoted mother, grandmother and aunt and a longtime Hyde Park resident, died March 20, 2019, at home. She was 71.A native of Norwood, N.Y. (St. Lawrence County), she was born Oct. 22, 1947, the daughter of Wayne Patraw and Loretta Farmer Patraw. She graduated from Norwood-Norfolk High School in 1965 and with her mother relocated to Dutchess County shortly afterward. In 1966, she married Michael Barton. She graduated with an associate’s degree from Dutchess Community College in 1981 and in 1984 earned a bachelor’s degree from Vassar College.Lorene was passionate about art, design, current affairs and politics and was a tireless advocate for women’s rights. She was a first-rate interior decorator and enjoyed celebrating holidays.Besides her son, Daniel, and his wife, Michelle Marcus, of Milton, and her daughter, Amy Barton Pai, and her husband, Amit, of Ann Arbor, Mich., survivors include her beloved grandchildren, Keshava and Sarika Pai; her brother, James Patraw of Knoxville Tenn., and her sister, Sharon Foust of Ayden, N.C.; a beloved aunt, Pat Conrad of Hyde Park; nephews, Sam Patraw and Kevin Cameron; nieces, Sarah Clark and Kim Encomienda; several grandnieces and nephews; and numerous cousins, including Kelly Farmer Cromwell of Hyde Park.Services will be 4 p.m. Saturday, March 30 at Sweet’s Funeral Home, 4365 Albany Post Road, Hyde Park. The Rev. Deacon Teri Jones will officiate. Burial will be in Union Cemetery, Hyde Park at a later date.The family asks that in lieu of flowers, memorial donations be made to the Arthritis Foundation at https://www.arthritis.org/giving/honor-memorial.php.To send an online condolence or for directions, please visit www.sweetsfuneralhome.com. To plant a tree in memory of Lorene E. Barton, please visit our Tribute Store. "Email Address" would like to share the life celebration of Lorene E. Barton. Click on the "link" to go to share a favorite memory or leave a condolence message for the family.